Our Douglas Laing’s Remarkable Regional Malts explorations continued with the Island blend… this time from the Cask Strength edition. There was a sense that this is from a similar ‘family’ as the Timorous Beastie however also had its unique variation, like siblings. Many found Rock Oyster just like one would expect from the name, salty raw oysters, the feel of being on a boat, the distinctive pervasive smell of barnacles, a tidal pool of salty whisky. At cask strength, it is also very deceptive, giving no hint of the power behind its smooth briney swish. There was a clear divide between those who enjoy salty whiskies and those who do not care for this maritime style. 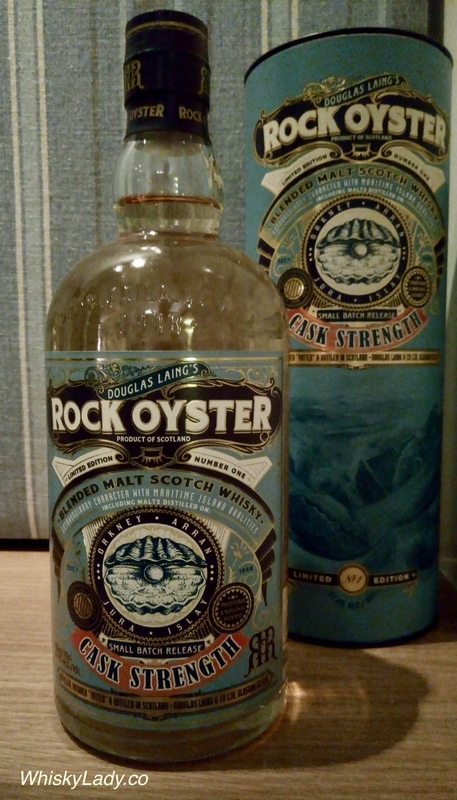 Introducing Douglas Laing’s Rock Oyster Cask Strength; the super-charged partner to the original Rock Oyster bottled at 57.4% ABV. Containing the finest Malt Whiskies from Scotland’s Whisky Islands, including those distilled on Islay, Arran, Orkney and Jura, this Limited Edition delivers a massive amplification of all those coastal qualities from the original Rock Oyster. Anticipate a blast of sea air on the nose and a tempestuously oceanic storm on the palate. Rock Oyster Cask Strength delivers a big peat hit full of Islay phenols, iodine and coal dust, with a shake of pepper softening to a distinct honey sweetness from the Arran casks. The Isle of Jura brings waves of citrus and barley to the mix, and Orkney fetches up some salt from the deep. What were the whisky blends explored? 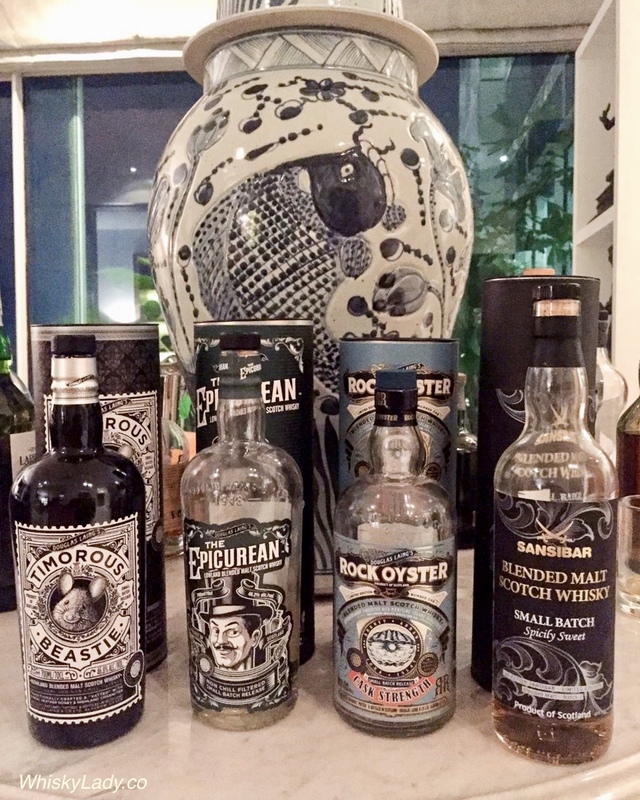 This entry was posted in Blends, Cask Strength, Island, Scotland and tagged Arran, Douglas Laing, Highland Park, Jura, Orkney, Rock Oyster, Rock Oyster 57.4% by Carissa Hickling. Bookmark the permalink.